Here is a lovely example of how to make designs from our 'Off the Rack' section a little more luxurious. Claire and Hamish choose our 'Winter Breeze' design from our 'Off the Rack' section. They wanted to incorporate silver into the design and we did so by printing on this silver metallic paper. 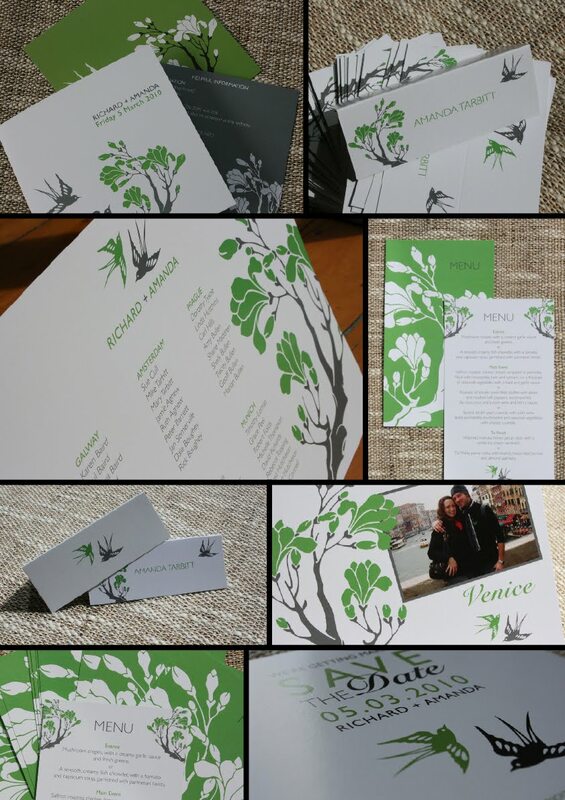 The final result was a pretty and elegant finish, giving the whole invite an extra special feel. 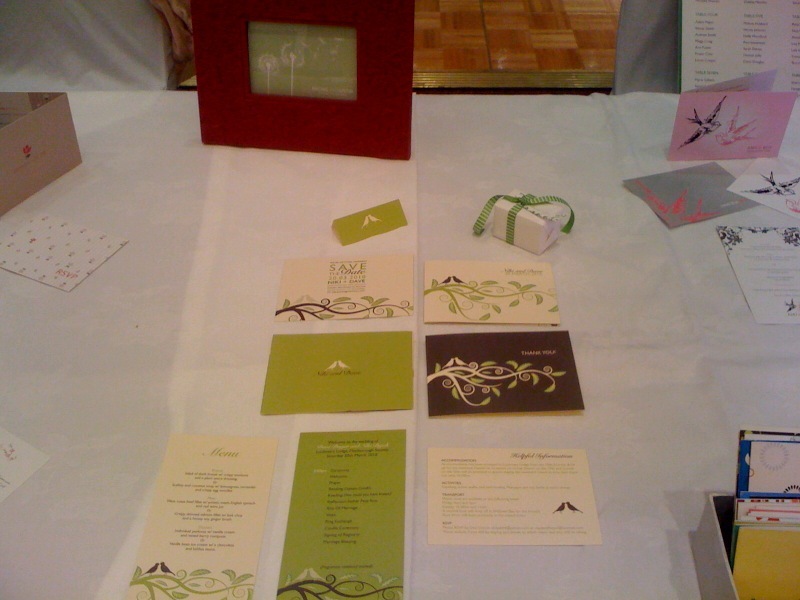 We also designed their table plan, table numbers and favour tags in the same theme - pics to come! You can see the whole set of 'Winter Breeze' here. 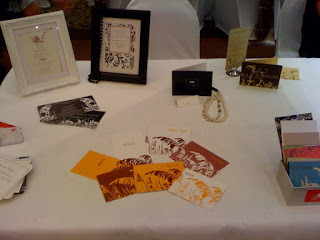 On the 21st of MArch 2010 we did a boutique wedding show at the Stamford Plaza in Auckland. It was just a collection of vendors exhibiting their goodies allowing time for lots of one-on-one chats! Here are a few (belated) pics from the day. Excuse the blurry iPhone images! Wedding Show season is here with the next show coming up VERY soon! We'll be at 'The Grand Wedding Show' on Sunday the 11th of April, Level 5 Sky City Convention Centre. So get your tickets here and come on down. We'd love to meet you all. 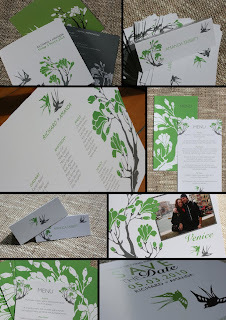 Amanda contacted us in March 2009 and wanted us to design her Save the Dates. She had a definitive colour scheme of vibrant green and charcoal grey, but apart from that -the brief was pretty open. We came up with the following design and followed it through for their Invites, info cards, Table numbers, Table Plan and Name cards. We've being doing bit of work on our website. 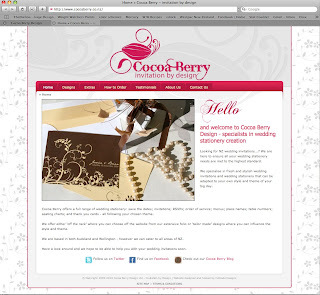 Updating and revamping and now it is ready to go live! Check it our here and you'll see lots of changes. New photo galleries, tailor made designs and lots of lovely feedback from our amazing clients. Take a look around and let us know what you think! Looks like my blogging is taking the familiar path of slackness! I will try and step this up a notch! I want to show you all a few pics of this lovely little guest book we made for Nikki and Dave for their big day. We've done a lot of work with Nikki to help her set her tone and theme for her wedding right from the Save the Dates we did almost a year ago. 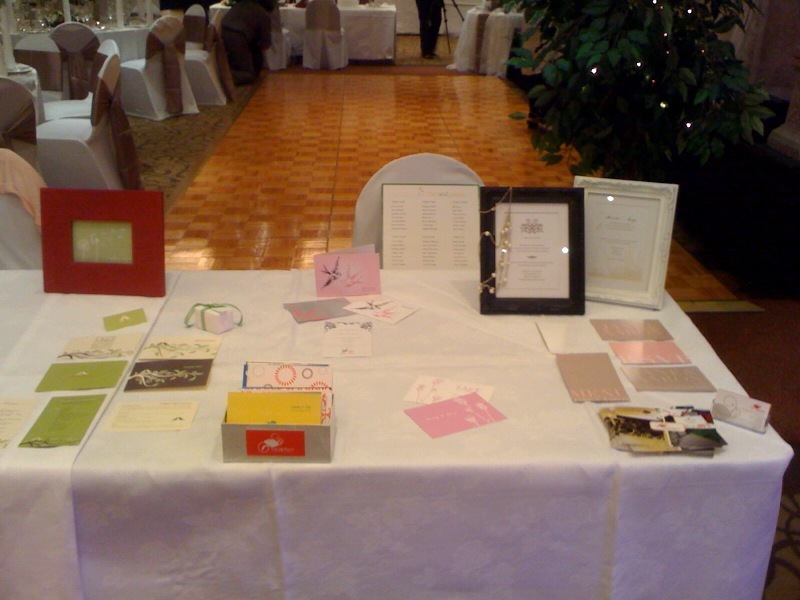 We did their invites, along with menus, programmes, name cards, and thank you cards. So this guest book was a little extra development we created to help tie in with the theme. Enjoy! 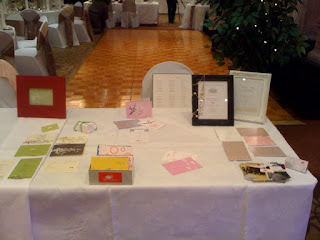 Give us an email here at Cocoa Berry to have your very own guest book made for your special day.